Locked out of SSH? Renew all the keys! Long time, no post! Well, here I am with something completely unrelated to programming. Instead, is this something that has been bugging me for a while but I had been postponing because from the surface it looked a bit like a deep rabbit hole. The host key used by the server. The host key type used by my laptop. It was time to learn about what changed in the recent past. I suspect it won't be long before support for DSA keys is disabled at compile time, and for good reasons, so this seemed a moment as good as any to make a new SSH key, and propagate it to the hosts where I was using the old one. Question is: Which type of key should I generate as of 2015? The current default of ssh-keygen is to use RSA keys of 2048 bits, which seems like a reasonable thing provided that it is technically possible to break 1024 bit keys. Applying a bit of paranoia, I decided to better use a 4096 bit key, to make it future-proof as well. Note that it is not possible to remove one item from the PubkeyAcceptedKeyTypes list with -ssh-rsa: we need to specify a complete list of key types that OpenSSH will be allowed to use. For reference: the ssh_config manual page lists the default value, and ssh -Q key lists key types built in a particular OpenSSH installation. In my case, I have decided to use my new Ed25519 key as primary, allowing only this key type by default, and using the RSA key for selected hosts. While we are at it, it may be interesting to switch from the OpenSSH server to TinySSH in the servers under our control. Despite being small, it supports Ed25519, and it uses NaCl (DJB's crypto library) instead of OpenSSL. Also, it is possibly the simplest service one can setup over CurveCP at the moment. But this post is already long enough, so let's move on to the finale. My main desktop environment is GNOME, which is very nice and by default includes a convenient SSH agent as part of its Keyring daemon. But every now and then I just use OpenBox window manager, or even a plain Linux virtual terminal with a tmux session in it, where there is no GNOME components running. 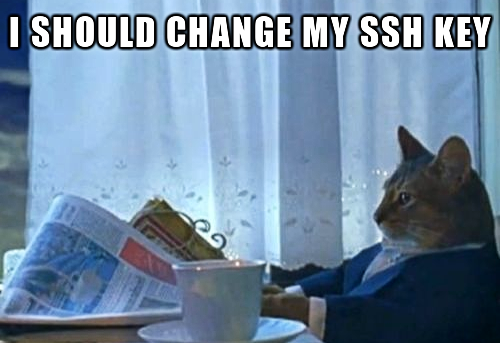 And I do miss its SSH agent. 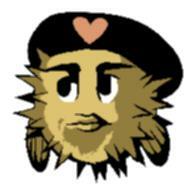 After looking a bit around, I have installed Envoy, which instead of implementing its own agent, ensures that one (and only one) instance of the OpenSSH ssh-agent runs for each user, across all logged-in sessions, and without needing changes to your shell startup files when using the included PAM module. Update (2015-08-16): Another reason to use Envoy, as pointed out by Óscar Amor, is that the GNOME Keyring daemon can't handle Ed25519 keys.